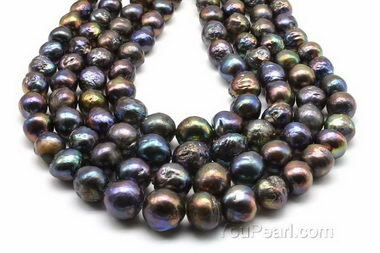 These are beautiful peacock black kasumi like baroque pearls for your jewelry making. They have nuclei inside, and have good luster. They have a little more blemishes. 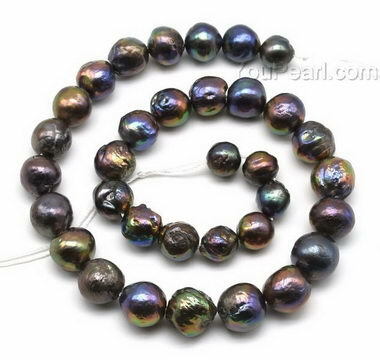 However, given its low price comparing other kasumi pearls, you get the best value for money. The price is for one strand. Up to 2.0mm large hole pearls are also available.